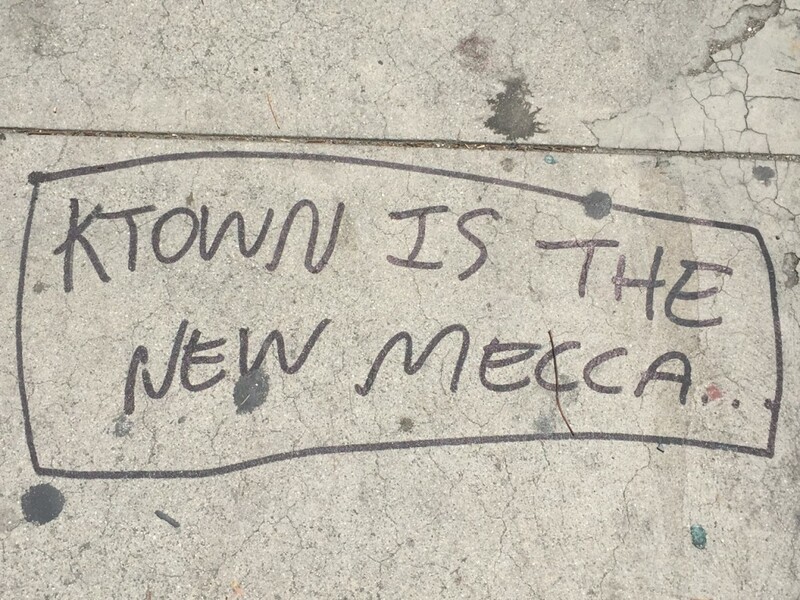 It’s official, the writing’s on the wall – K-Town is the new mecca. The infamous Los Angeles neighborhood just west of Downtown is littered with world-class Korean BBQ joints, edgy street-art and design hotels. It’s hard to imagine only two decades ago this low-rent area was ground zero for the LA riots and basically engulfed in flames! These days it’s home to more hipsters than hell-raisers and boasts some really cool rejuvenated buildings that house them. The great thing about KoreaTown Los Angeles is you can experience the best of this compact three-square mile community in a day. And with its rich Latin and Korean influence this cultural hot spot has a die-hard work ethic so you’ll have a whole 24 hours to explore! At The Commissionary Café [featured]. 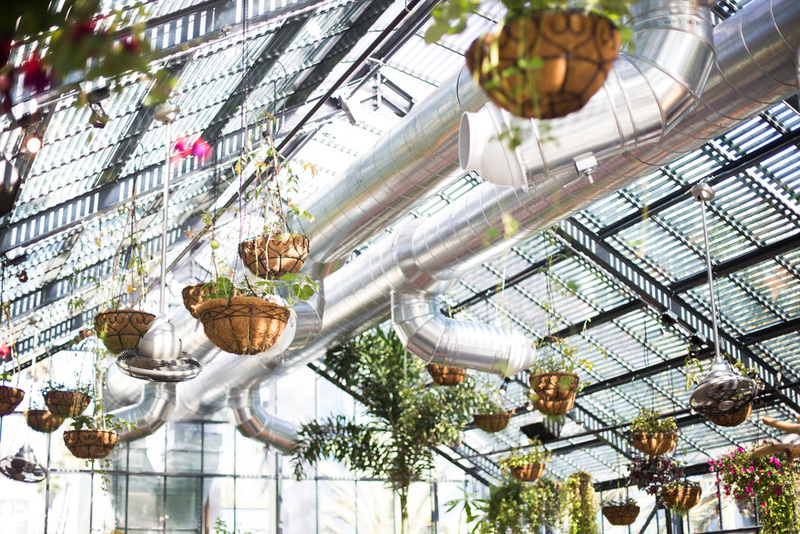 Located on the rooftop of The Line Hotel, this little cold-brew coffee mecca is actually inside a greenhouse with epic views of the surrounding city skyline. And bask in the architectural delight that is the Pellissier Building, towering above the Wiltern Theater. Best known for its vast rainbow auditorium and big-name acts, don’t be surprised if the next lineup includes Ellen or The Stones. By underground creatives like D*Face and WRDSMTH. Mosey around Wilshire and Normandie and you’ll stumble upon iconic works perfect for those requisite Instagram pics! At Park’s, the undisputed Korean BBQ favourite among local families, celebrities, corporates and hipsters who swarm to this strip-mall restaurant for fun-filled open grills of bulbogi beef, octopus and shrimp. Don’t forget the Soju! At Wi Spa after stuffing your face full of meat and kimchi. Why spend a fortune on Hollywood spas when you can save on saunas and massages at this 24-hour labyrinth of pampering in K-Town? In-the-know Korean families and fashionistas swear by the traditional dome “bulgama” sauna and the “misutgaru” multigrain shake. At the Koreatown Plaza, a 1980’s mall filled with colourful supermarkets, Hello Kitty bits and bobs and retro everything. Visit the downstairs food court which doubles as a makeshift mini Koreatown filled with exotic bakeries and noodle shops.